Maryland Pipeline Inspections by Helicopter You Can Trust! Oil and gas operations can benefit from the use of helicopters. Helicopters can provide timely pipeline inspections that are often mandatory per federal regulations. The amount of time under which a helicopter can perform a pipeline inspection makes it a vital assist to any oil or gas operation. FairLifts specializes in arranging helicopter services throughout the state of Maryland. These services include a wide variety of services that benefit oil and gas operations. Available services include leak detection, helping with emergency services, and shipping cargo. FairLifts partners with certified pilots and professional crew to bring you the best pipeline inspections around. In 1944, the first natural gas was discovered in Maryland from a well in Garrett County. In 1999 regular production of gas in Maryland was up to 16,000,000 cubic feet from eight different wells. A study produced by the Maryland Petroleum Council which came out in 2017 indicated natural oil and gas contribute significantly to not only Maryland’s economy but the economy of the United States as a whole. In 2015, $7.8 billion were added to the state’s economy from the oil and gas industry alone. FairLifts network of pilots and crew is vast. We arrange helicopter services using the newest pipeline survey technology. One possibility is the use of LIDAR—a 3-D image scan of terrain. The Pipeline and Hazardous Materials Safety Administration (PHMSA) sets vigorous regulations requiring pipeline inspections. A helicopter can ensure you perform these pipeline inspections quickly. FairLifts helicopter services are completely customizable. Services include locating pipeline leaks, helping in emergency efforts, repairs of pipelines, and transporting necessary crew members to where they need to go. FairLifts arranges high-quality pipeline inspections and surveys. These services are available throughout the entire state of Maryland and prove vital for the longevity of any oil or gas operation. A helicopter often times gives a more accurate depiction of pipelines than a ground method does. Any cargo you need to be shipped is easily done using a helicopter. A helicopter provides heavy lift capability, deeming it a good fit for transporting any pipeline supplies you may need for your operation. A helicopter can deliver cargo to a precise location in a quick manner. Detecting leaks can prove vital for the success of any oil or gas operation. A helicopter can perform an aerial pipeline inspection to determine if there are any leaks. This elevated view can be important for earlier leak detection, and a helicopter can provide emergency support. Sometimes terrain poses a problem for transporting crew. Other times it just takes too long to transport a crew on the ground. A helicopter alleviates this effort by quickly and efficiently transporting your crew members to wherever they need to go. A helicopter also provides precise transportation. Experts are standing by to get you a fast quote for your pipeline survey in Maryland! FairLifts wants to assist with your oil or gas operation in Maryland. Alleviate burdens and work smarter by setting up one—or all—of these helicopter services. Helicopter services are flexible and convenient and sensitive to your needs. Our connection of pilots and crew members expands worldwide and we arrange helicopter services throughout the entire state of Maryland. Reach out to our team today. 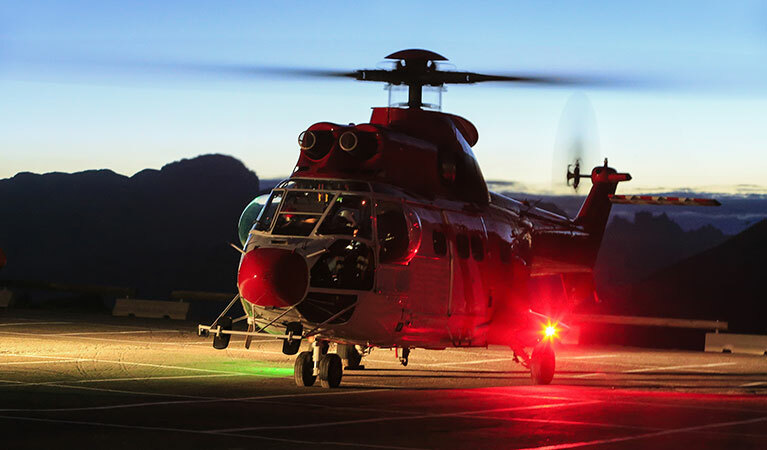 We are able to provide you with quotes and answer any questions you may have on helicopter pipeline services. Our lines are open 24/7 to provide you with the support you need.